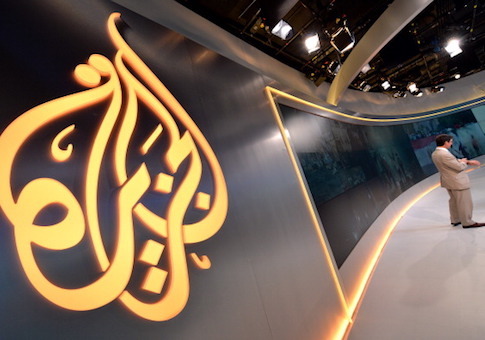 Congress recently approved new legislation that would force foreign-owned media organizations such as Qatar's Al Jazeera to register as a foreign agent under U.S. law. The legislation, included in the annual National Defense Authorization Act, or NDAA, would mandate that foreign-owned media organizations register under the Foreign Agents Registration Act, or FARA, a move that would shine greater sunlight on these organizations' ties to foreign governments. Al Jazeera in particular has become a poster child for those in Congress backing the legislation. A delegation of lawmakers, including Sen. Ted Cruz (R., Texas) and Rep. Lee Zeldin (R., N.Y.), have been championing the legislation for months, arguing that Al Jazeera and others should be forced to admit their close ties to foreign governments. Proponents of the legislation argue that media outlets such as Al Jazeera have tried to hide their agenda behind the guise of objective journalism. Al Jazeera, for instance, recently faced intense scrutiny on Capitol Hill for running a secret, months-long spy operation on American Jewish activists and their allies in Congress on order from the Qatari government. Cruz, Zelden, and Rep. Josh Gottheimer (D., N.J.) petitioned Attorney General Jeff Sessions in March to launch an investigation into Al Jazeera. "The Department of Justice's recent designation of Russia's RT America as a foreign agent, as well as the questionable practices of Al Jazeera and China Central Television, strongly suggest the presence of a subversive threat in the United States," Cruz said in a statement at the time. "Qatar's Al Jazeera, which the State Department has indicated is state-controlled, produces content that is anti-American, anti-Semitic, and anti-Israel, while promoting positive coverage of terrorist organizations such as Iranian-sponsored Hezbollah and Hamas." "Our adversaries, from the Middle East to Eurasia, are waging influence campaigns against the American people under the guise of objective news, with the goal of shaping Americans' perceptions in accordance with their nefarious interests," Cruz said. "The United States should take all necessary and prudent steps to unmask these efforts for what they are: the propaganda of terrorist-supporting regimes and authoritarian states." Congressional officials touted the new legislation as part of larger efforts to force foreign-owned media outlets to disclose their agendas. "The Obama administration was hopeless on this issue, and Secretary of State Clinton even testified to Congress that Al Jazeera is better than American journalism because Al Jazeera is actually ‘real news'," said one senior Republican congressional staffer. "Lawmakers hoped the Trump administration would be better but they weren't. So Congress took things into its own hands." This entry was posted in National Security and tagged Al Jazeera. Bookmark the permalink.